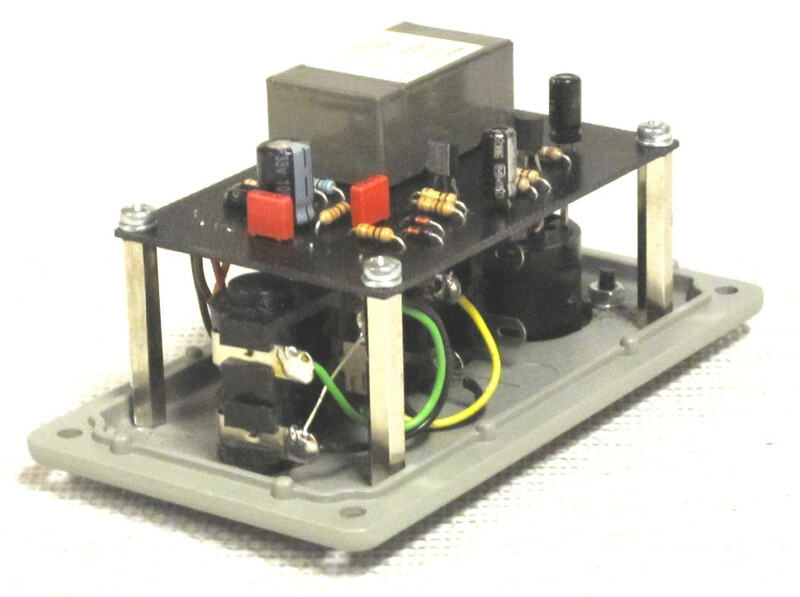 This active DI, designed by Bo Hansen in the 1975, has recently enjoyed a second life as an active project with PCBs being produced and a good amount of discussion on the GroupDIY forum. PCBs, self-etching papers, and a bill of materials are currently available from numerous sources (see below). 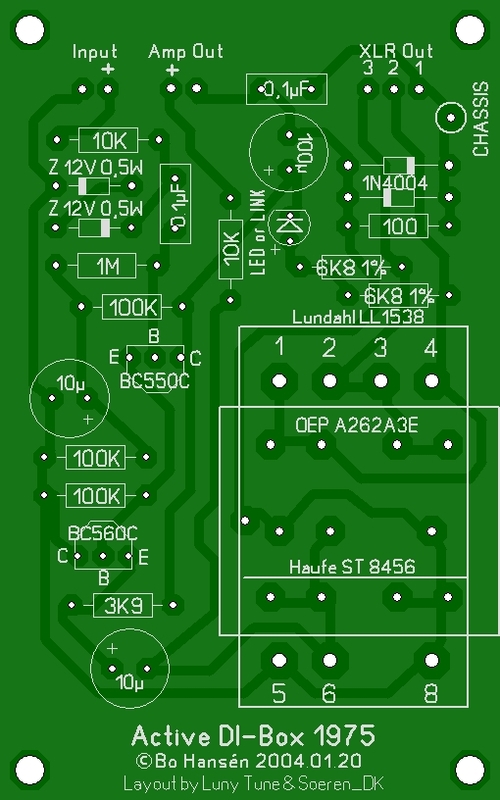 PCBs available from PCB Grinder. Added by Peterson Goodwyn on September 2, 2010 and last modified by Peterson Goodwyn on October 5, 2012. 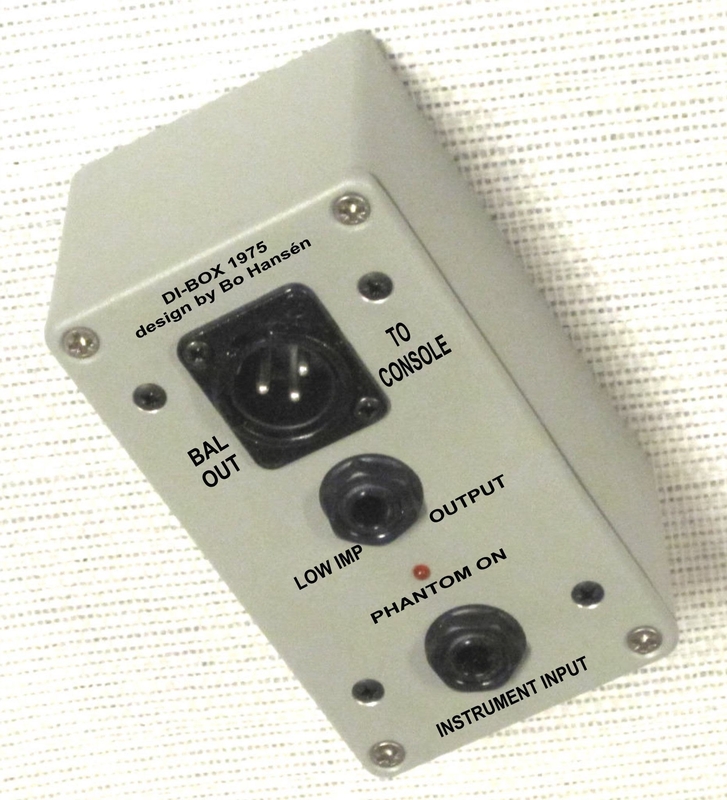 Any thoughts on obtaining printed PCB’s for the Bo Hansen DI? Thank you.